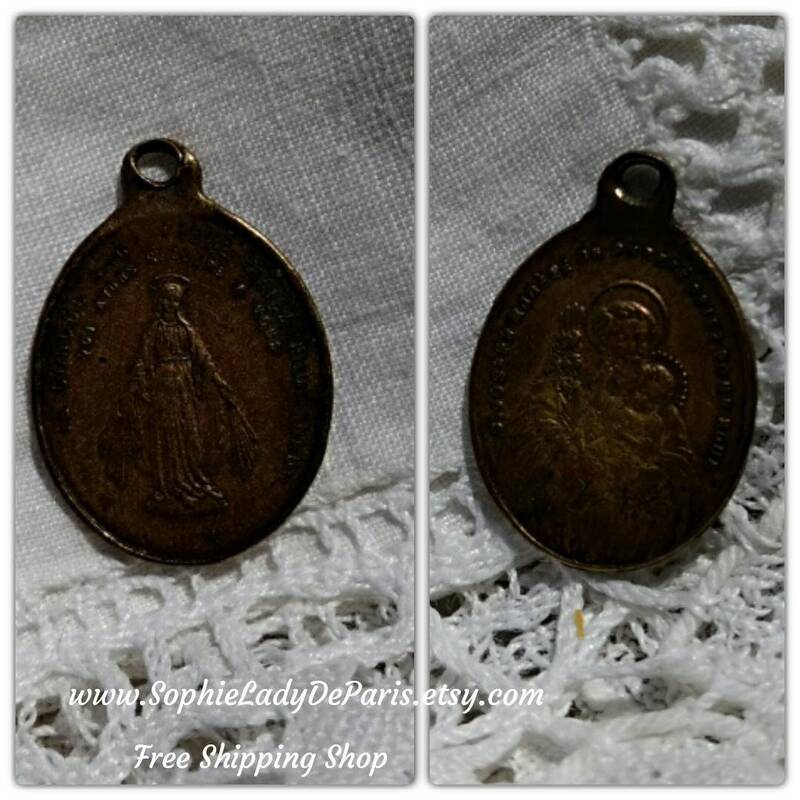 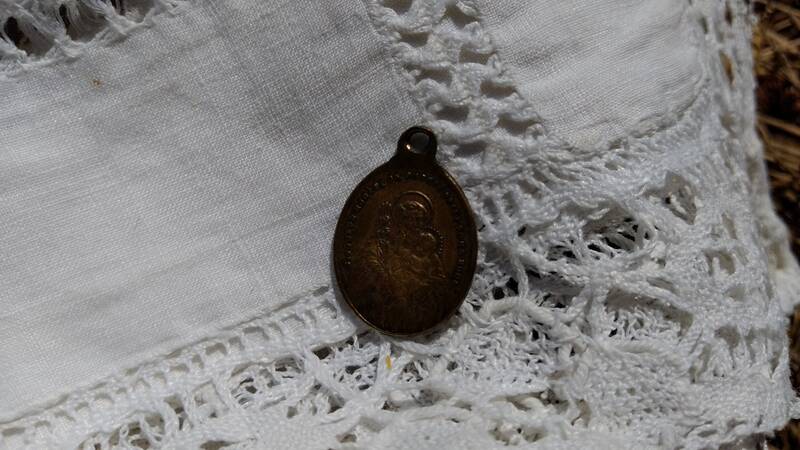 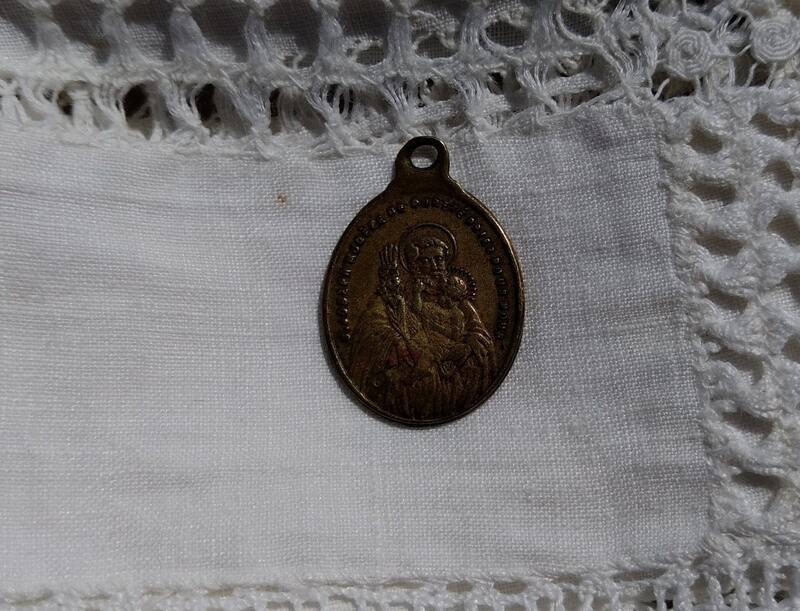 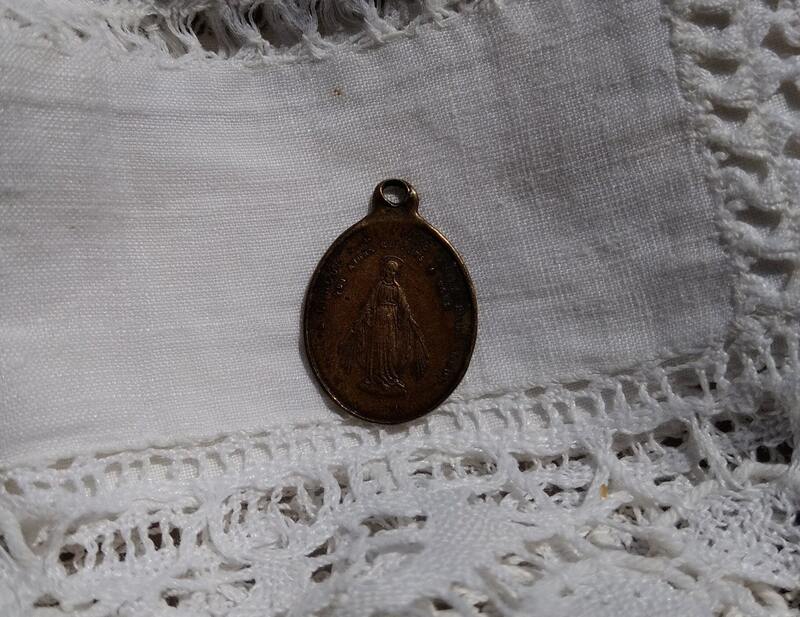 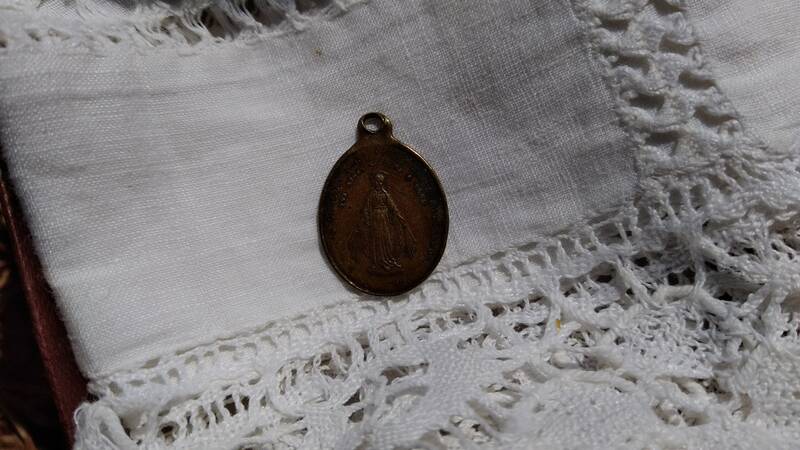 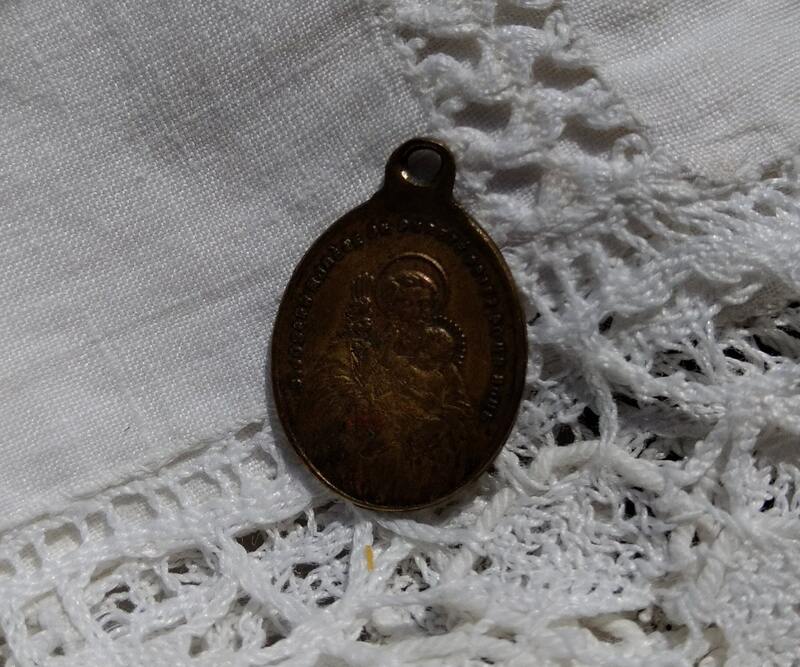 19th Century Virgin Mary St Joseph and Child French Brass Medal. 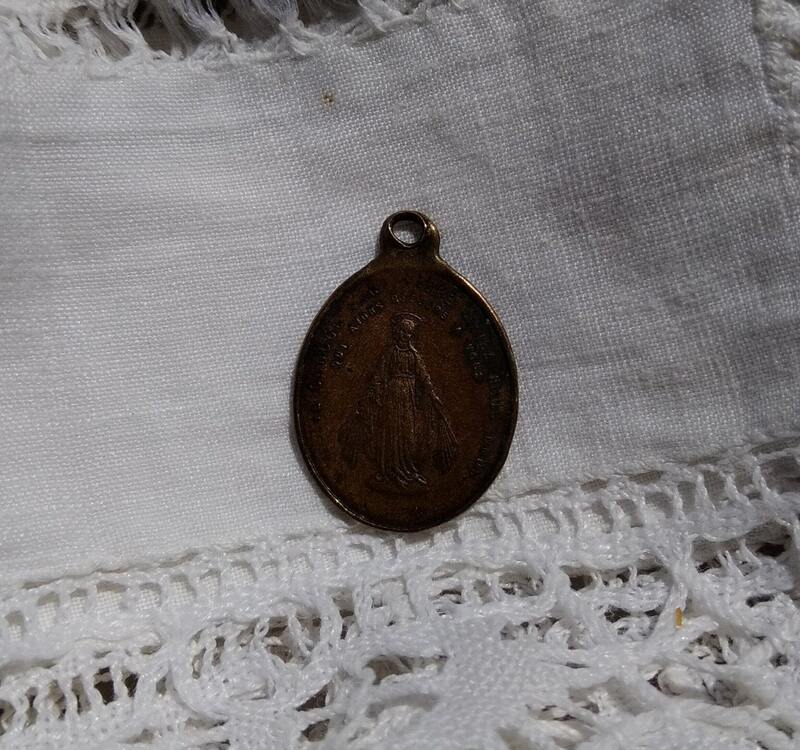 Size : 0.6 x 0.8 in. 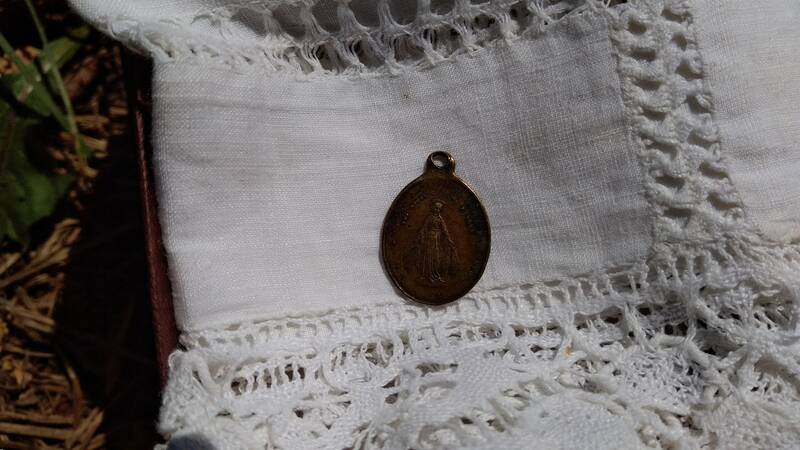 Beautiful and original Protecting French medal.